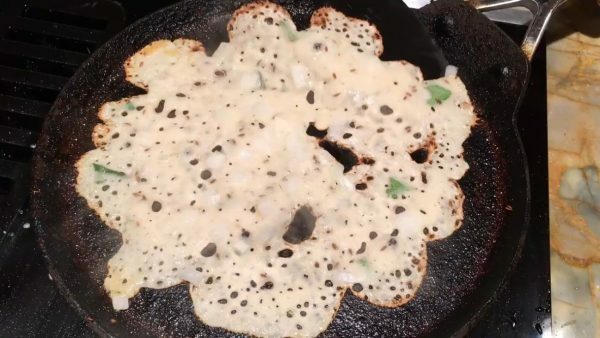 Gently go around the edges with the spatula, and try to lift, without lifting the entire dosa yet. 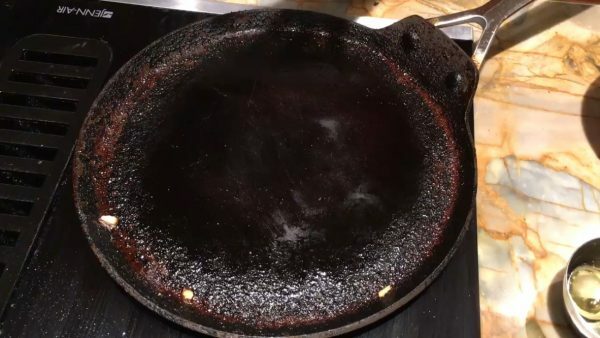 If it comes up easily, it's cooked. 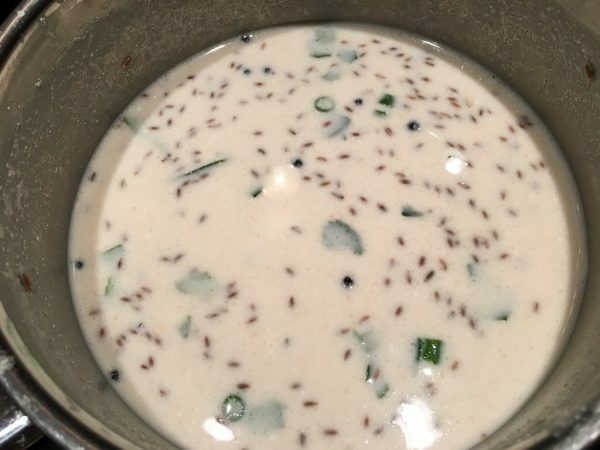 If it breaks, it needs to cook a bit more. When you're able to run the spatula completely under the dosa without breaking it, fold it and serve! Here are the video links. I would welcome feedback on the video presentation. 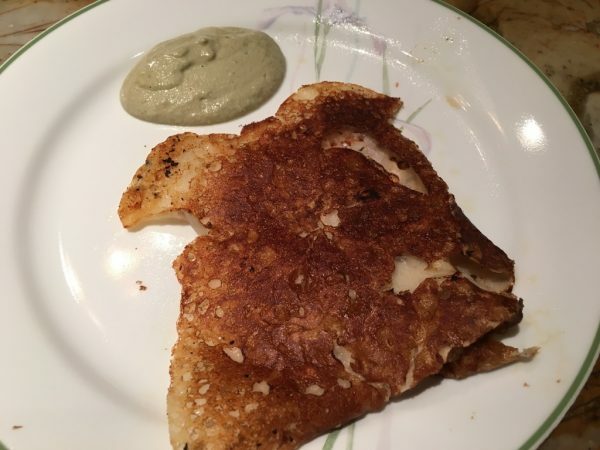 My rava dosai batter could have been thinner, which would have resulted in flakier restaurant style rava dosa. But my hubby had no complaints, and gobbled them up. There's always next time!